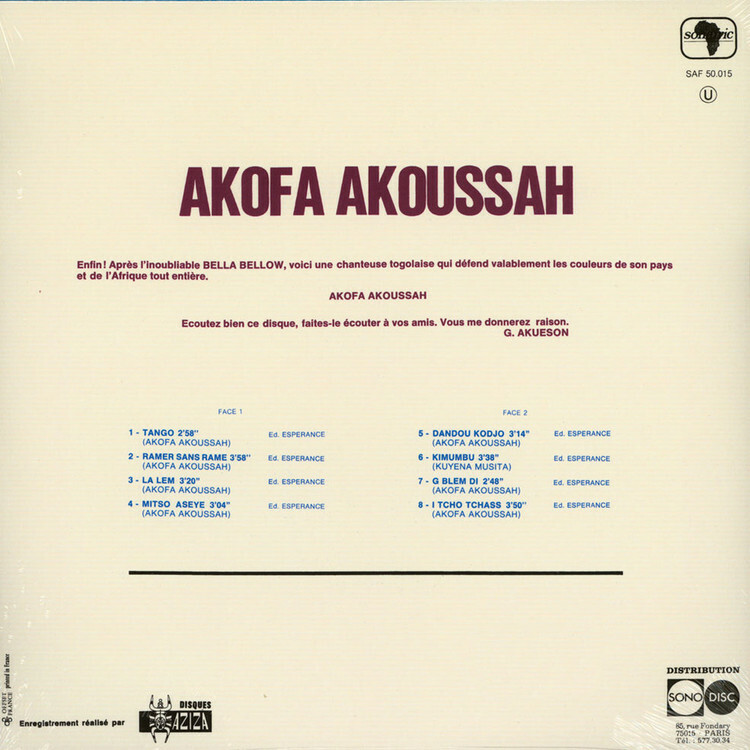 Rich, deep, percussive soulful folk album from master Togolese singer, Akofa Akoussah. The album moves through uptempo afro-folk-funk on ‘Tango’ to deep ballads of ‘Ramer Sans Rame’ and ‘I Tcho Tchass’ and lighter moments on ‘G Blem Di’ and ‘Mitso Aseye’. Akofas exceptional songs and soaring vocals are decorated with percussion, guitar lines, subtle backing vocals and horns to create a unique, rich sonic. 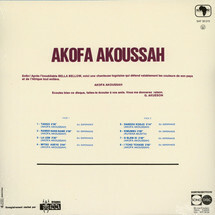 The album was recorded for release by French label Sonafric in 1976. Produced by Gérard Akueson; founder & owner of African record label, ‘Akue’, based in Paris.